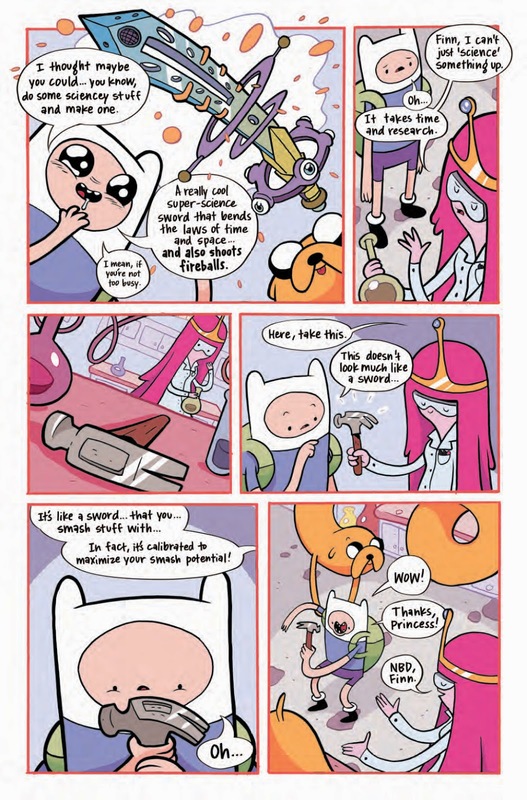 Finn and Jake are missing?! 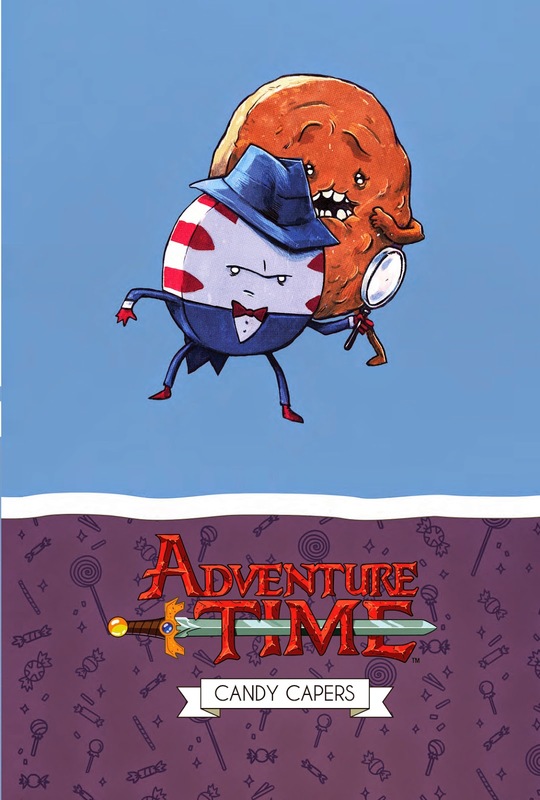 It’s a dark day in Ooo, but fear not, Candy Kingdom—Peppermint Butler and Cinnamon Bun will… protect you? 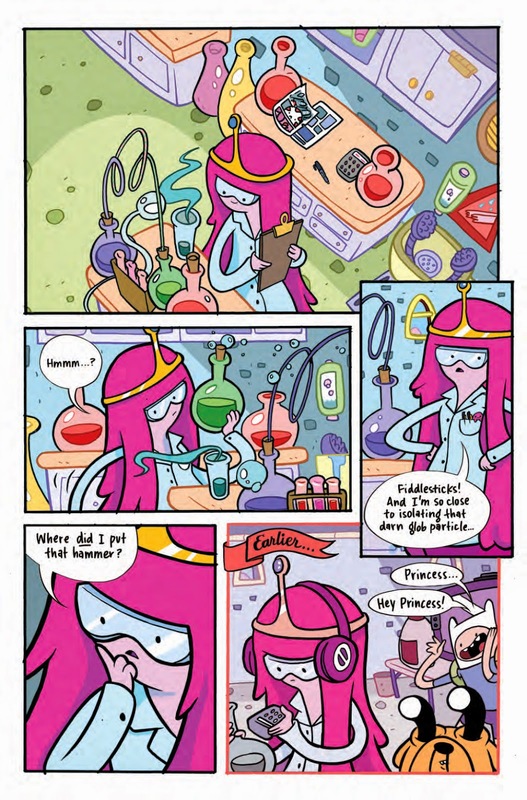 Desperate times call for desperate measures and Princess Bubblegum has no choice but to turn to the gummiest of gumshoes. 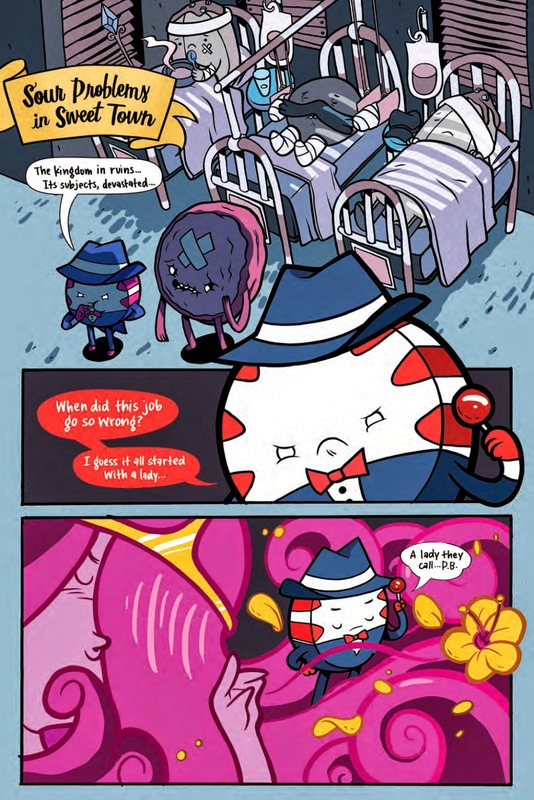 Peppermint Butler is on the case, and with Cinnamon Bun’s complete lack of keen deductive skills, they just might have a chance at navigating Ooo’s shadowy underbelly and locating everyone’s favorite heroes. 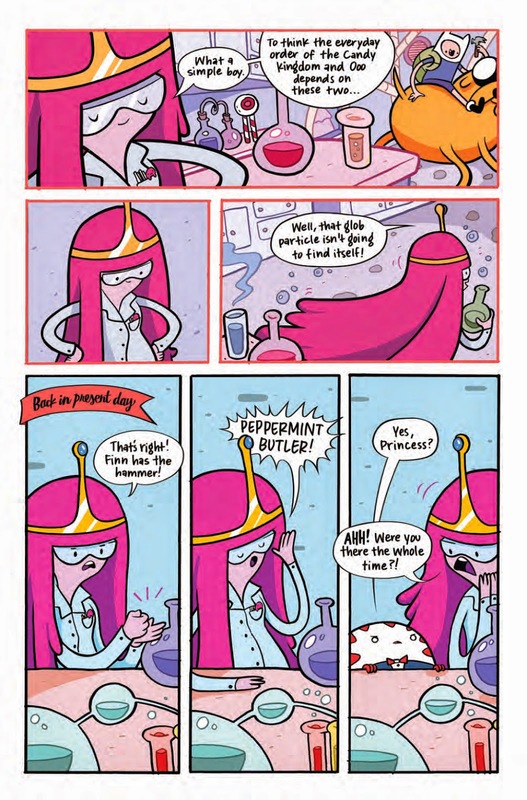 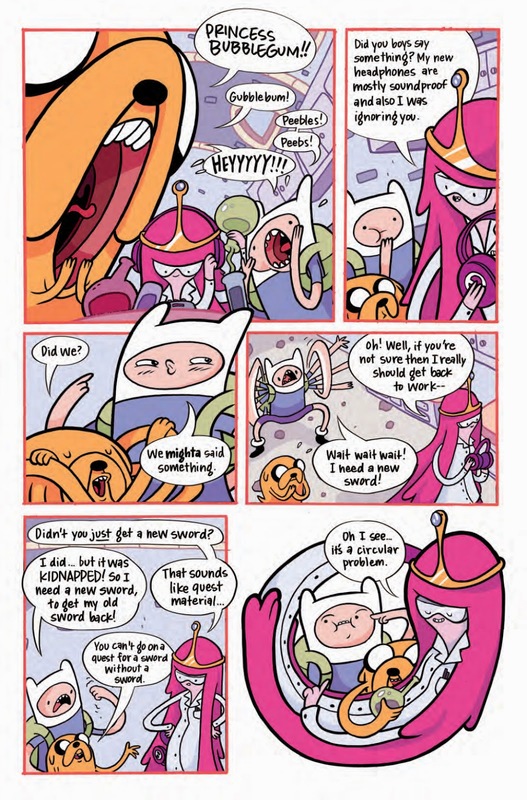 Written by ace detectives Yuko Ota and Ananth Panagariya (Johnny Wander) and illustrated by superstar sleuth Ian McGinty (Bravest Warriors), featuring behind-the-scenes extras. 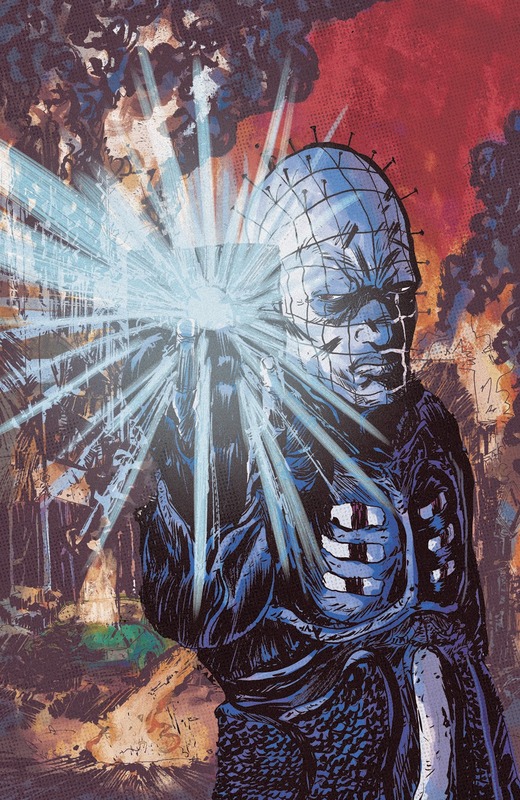 This hardcover collects the complete miniseries. 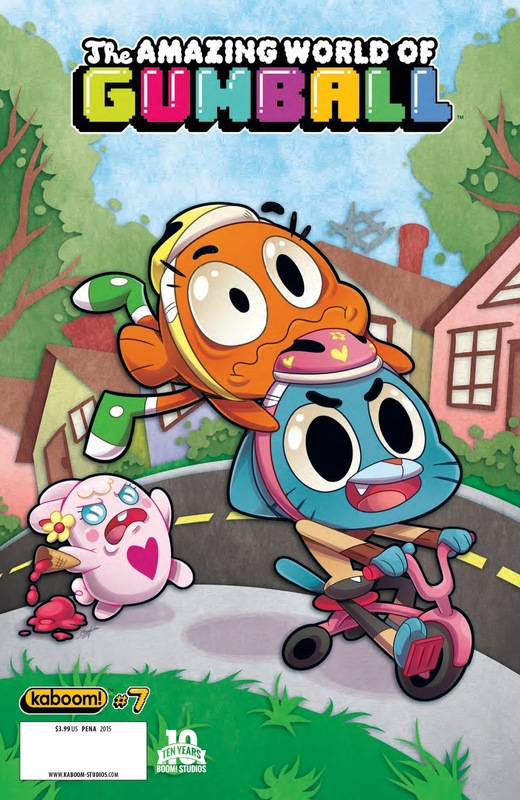 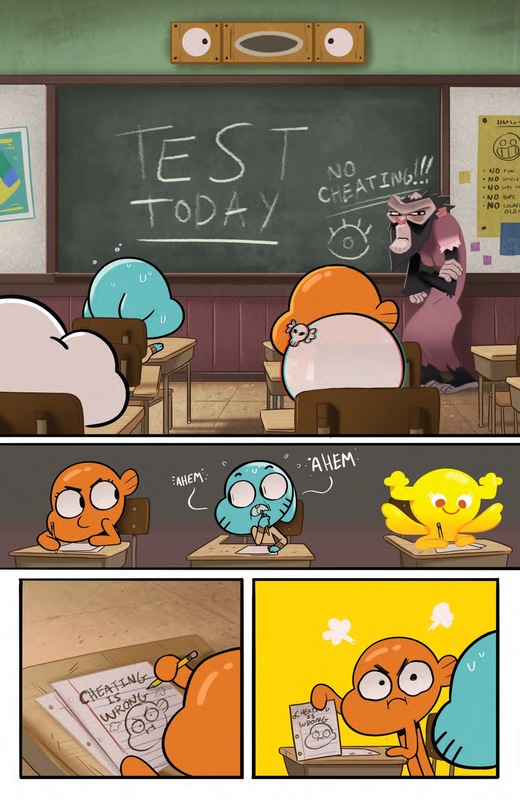 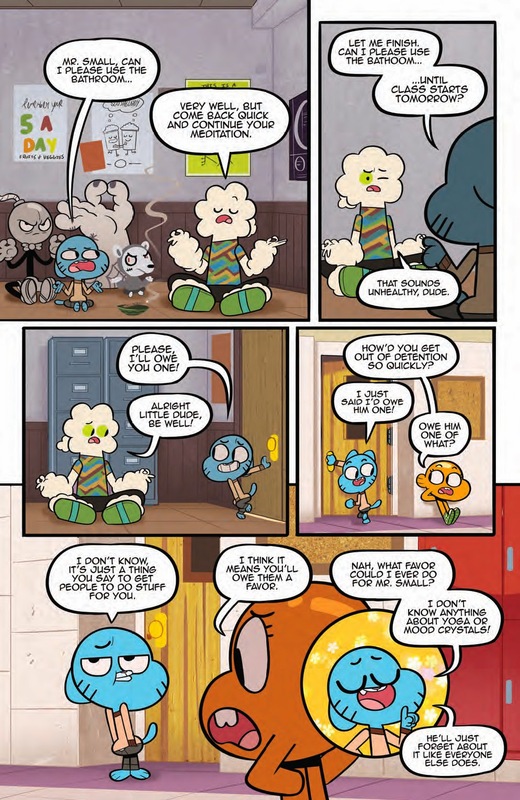 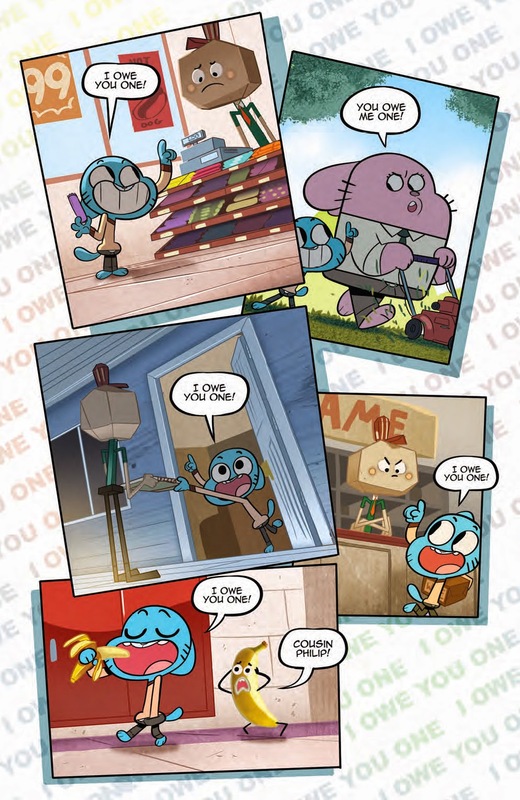 Gumball has been using the phrase, “I’ll owe you one!” to get free favors for a while now. 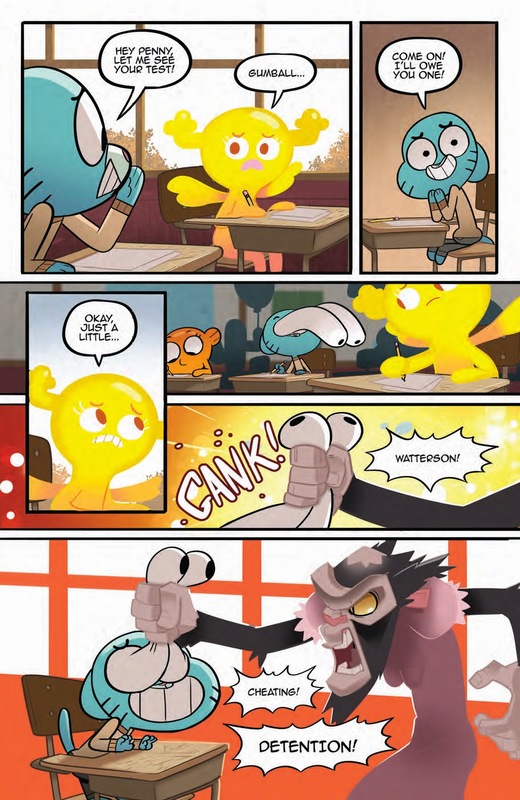 When he finds out that it’s not just a saying and he actually owes everyone a favor, he’s going to have to pay up quick before catastrophe strikes! 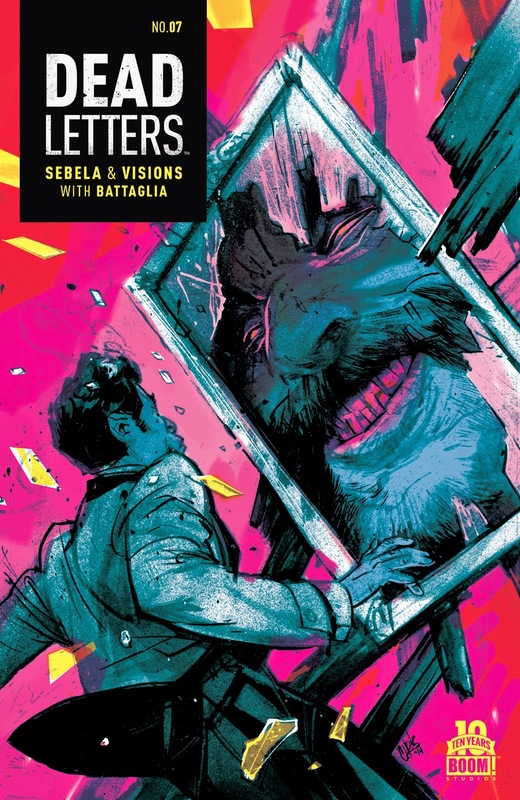 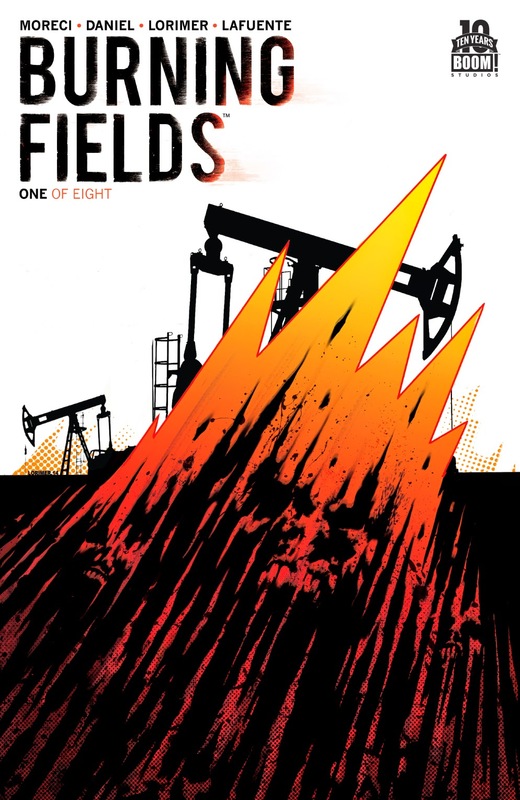 The final chapter of this Hellraiser anthology arrives with perhaps its most shocking stories, as Christopher Sebela (Dead Letters) teams up with Matt Battaglia for a tale of a hoarder unlike any you’ve seen on reality TV. 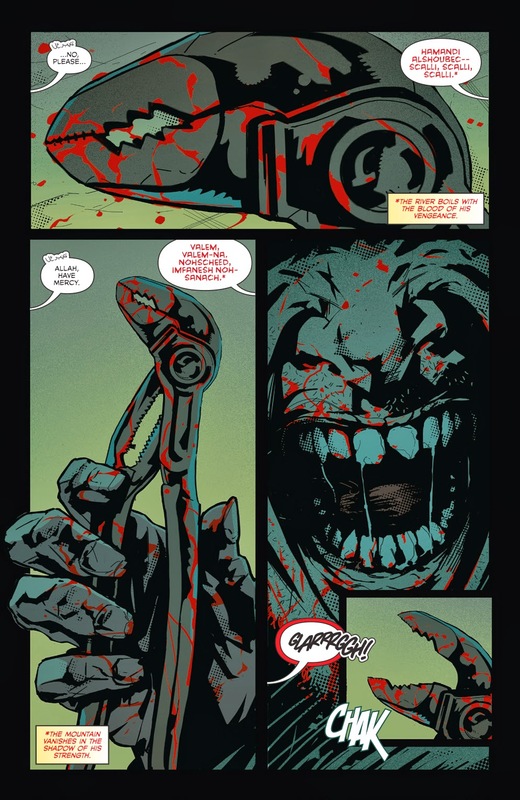 Also, Ben Meares and Peter Bergting (Baltimore) show us a scientist racing to crack the secrets of the puzzle box, and in the finale of “The Hunted,” Pinhead comes face to face with those who want to steal his pins. 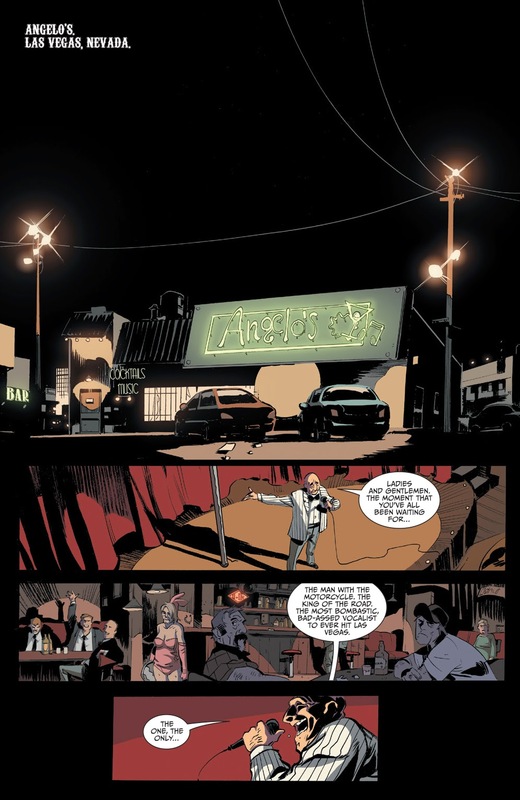 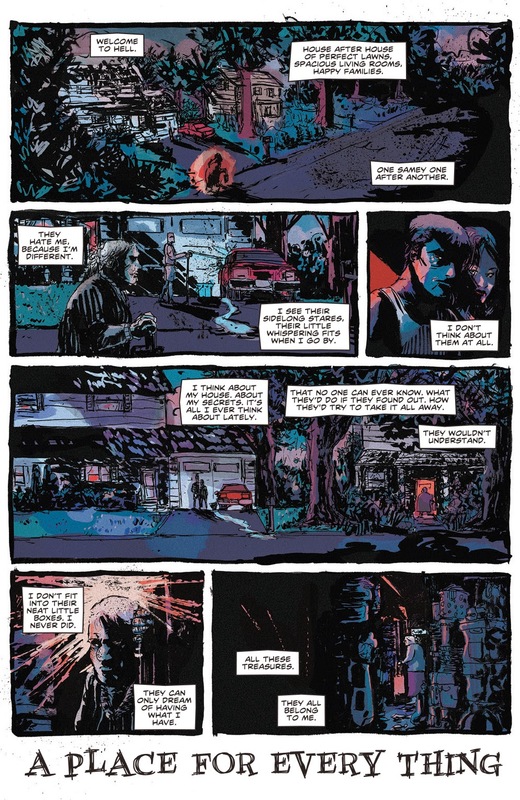 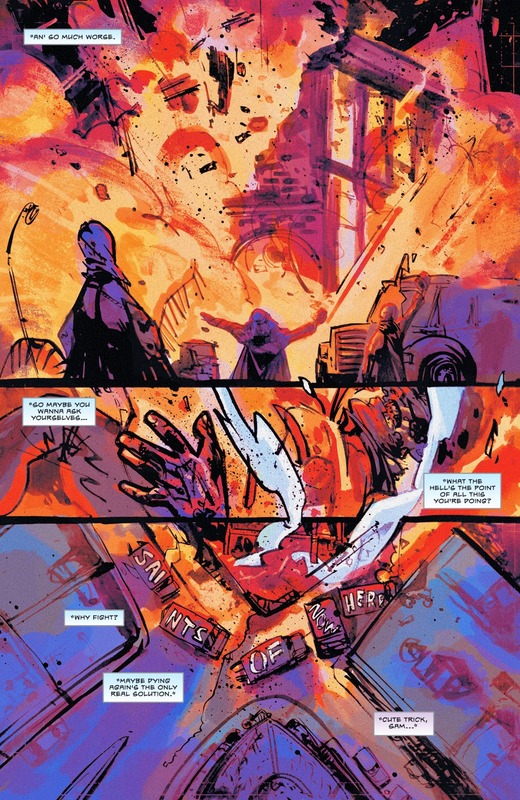 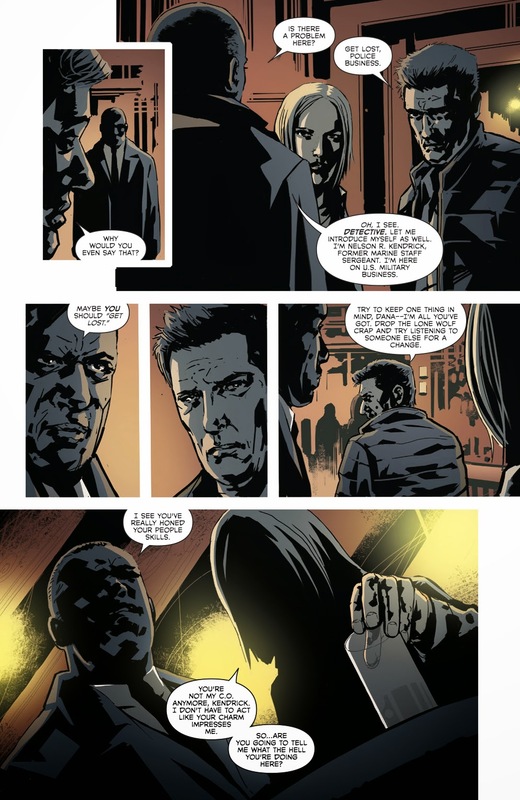 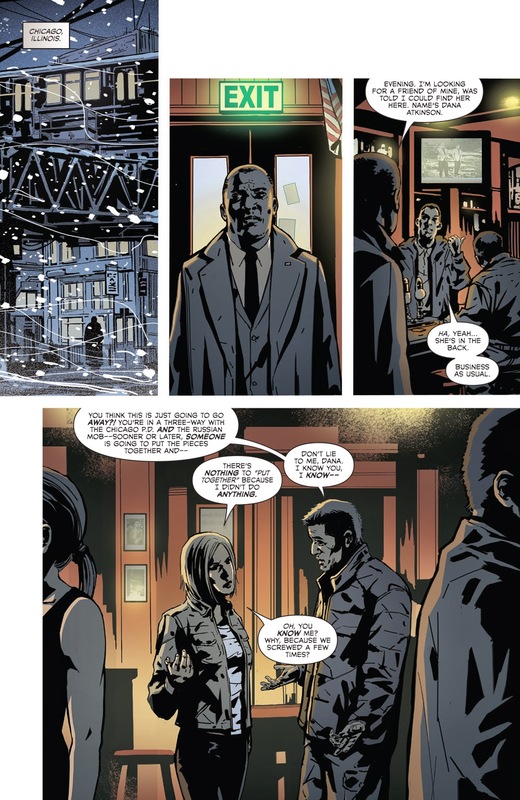 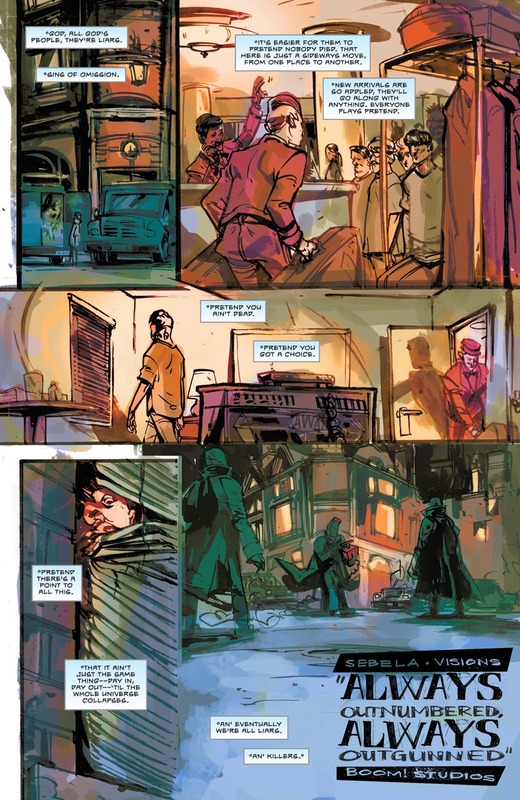 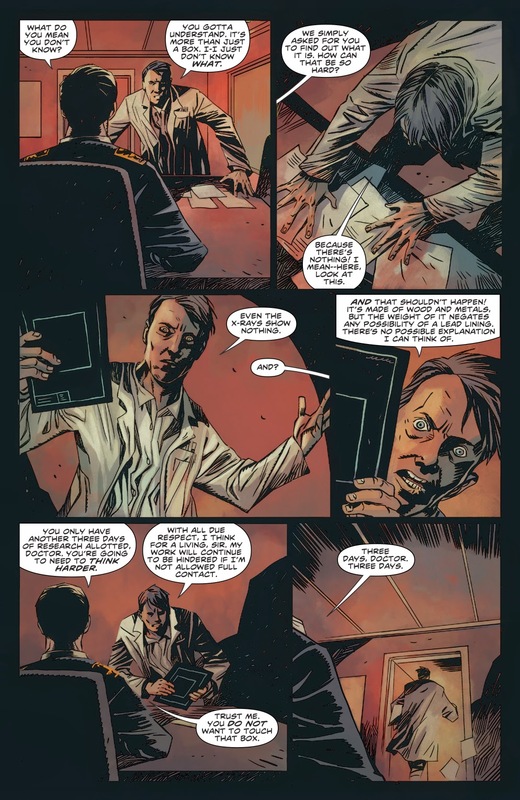 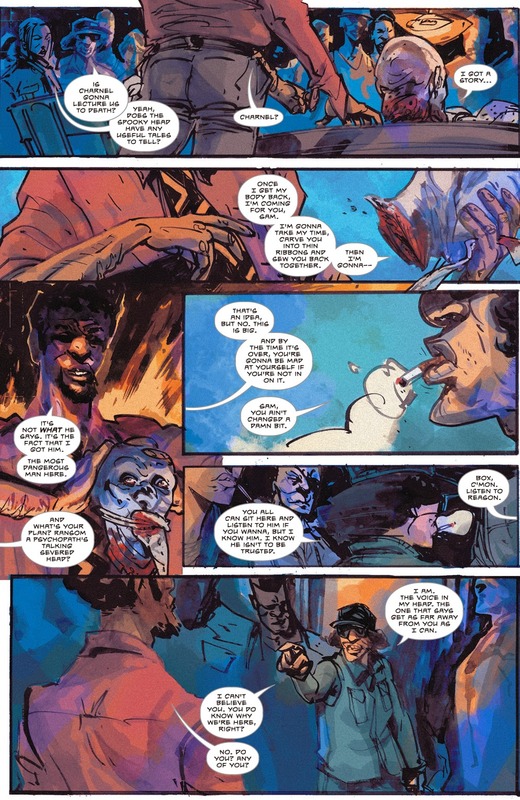 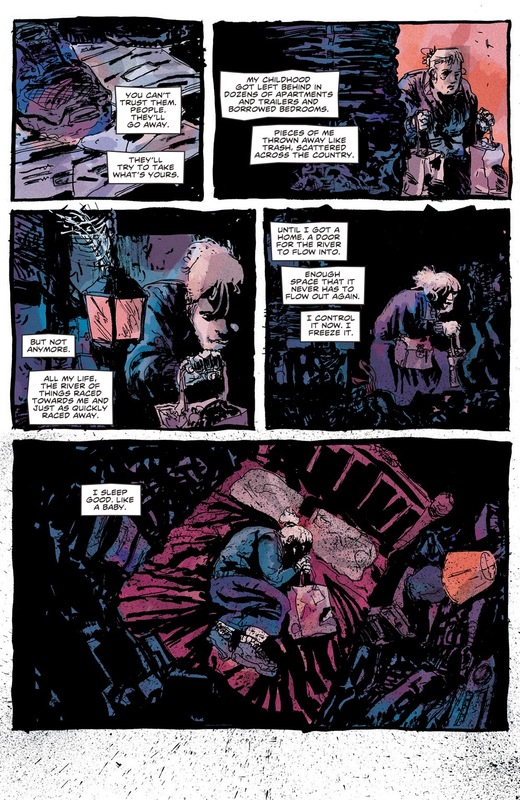 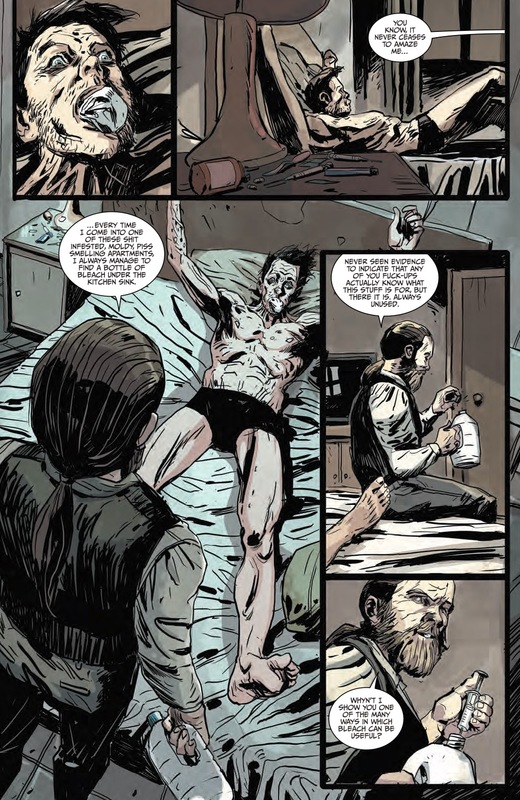 As Sam rekindles an old relationship in Here, he also attempts to move forward on his main goal of uniting the boroughs against the Saints of Nowhere, while keeping Charnel’s head away from Ma, Jones, and the other vultures circling. 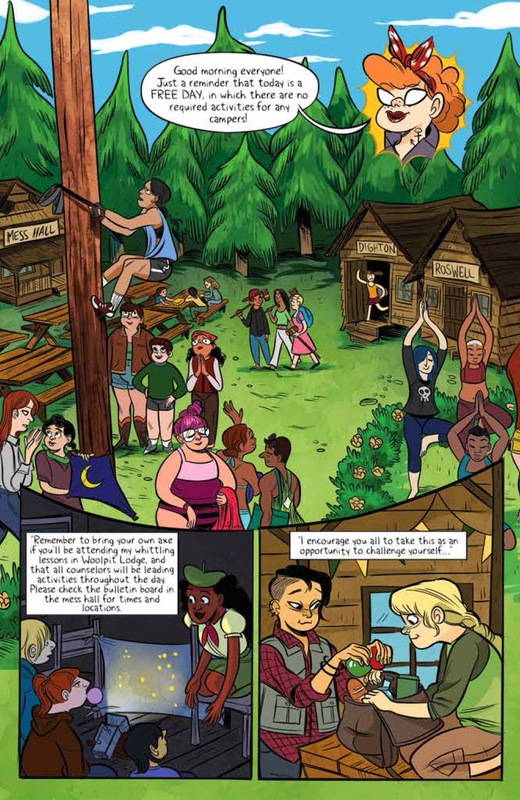 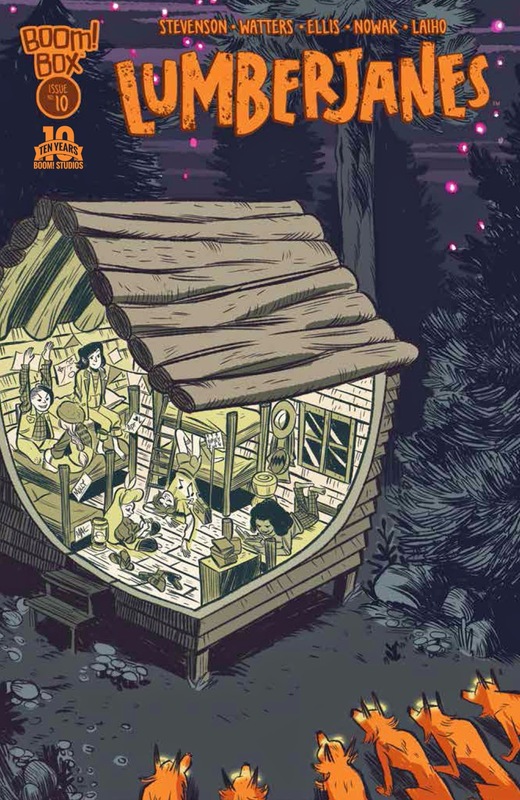 It’s a free day at Lumberjanes camp, and April is…bored out of her skull. 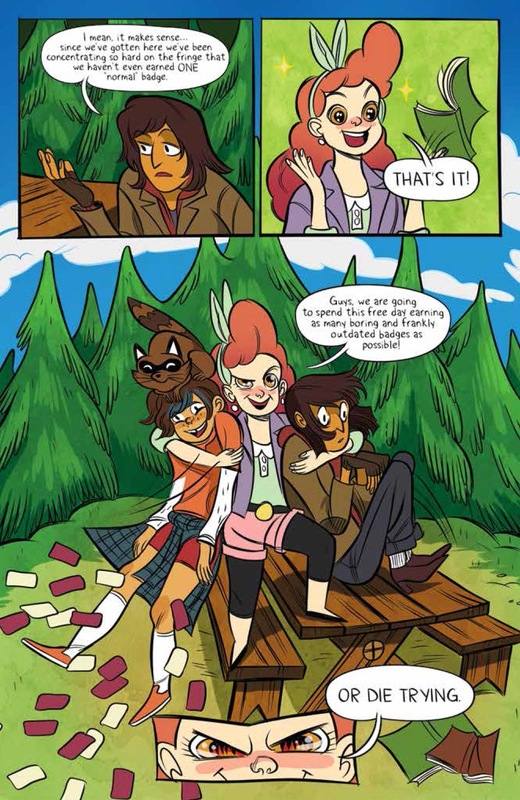 With nothing to fight, April, Jo, and Ripley set themselves to earning all the badges they can that don’t involve monsters or the supernatural, which is surprisingly hard! 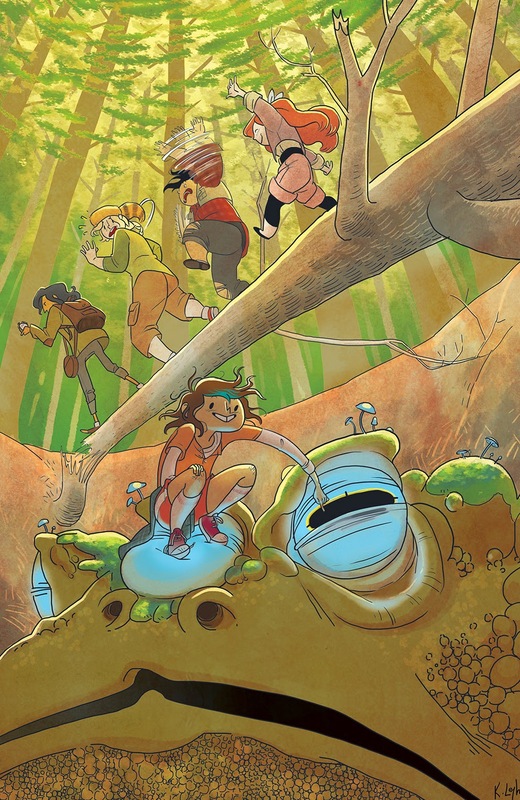 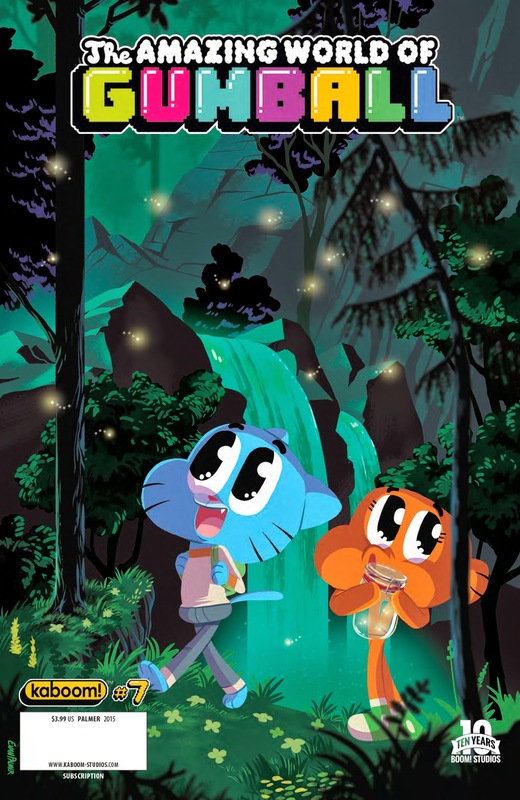 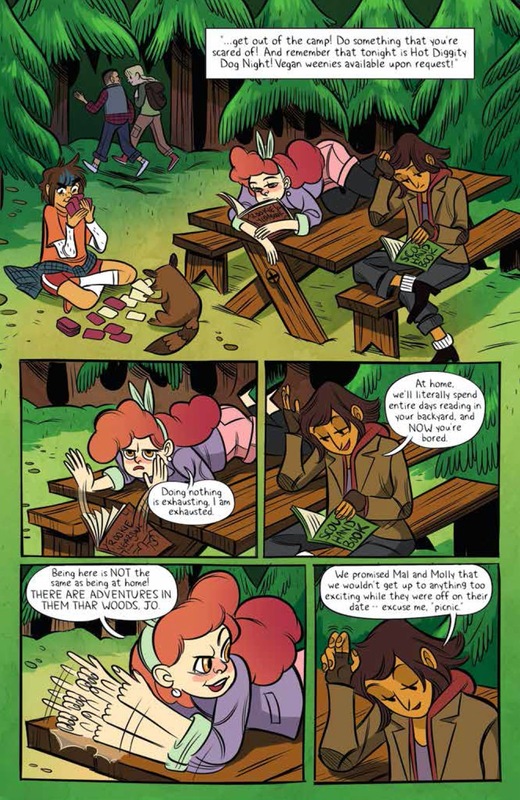 Meanwhile, when Mal and Molly sneak off to have a picnic, they accidentally stumble into something more than they ever bargained for… This issue features a sneak peek of the upcoming BOOM! 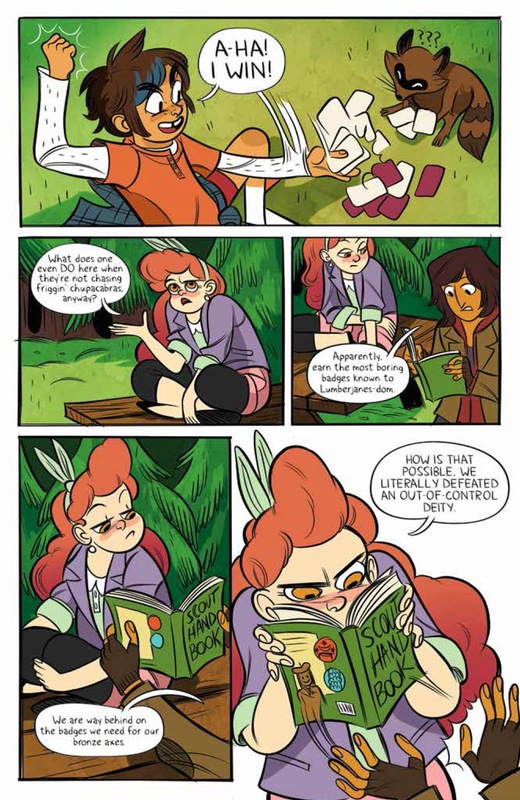 Box series Giant Days by John Allison and Lissa Treiman. 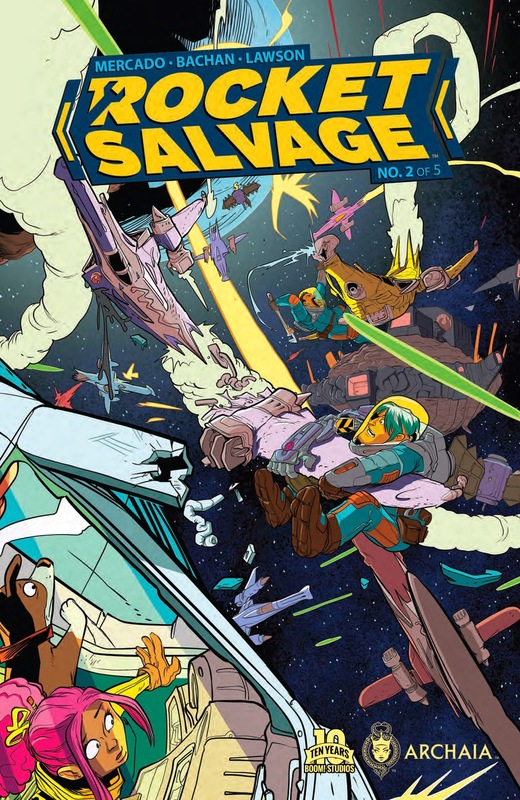 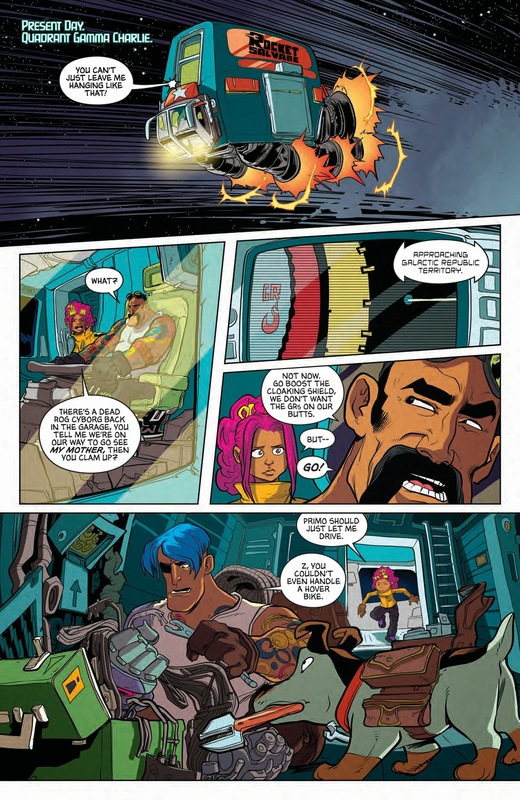 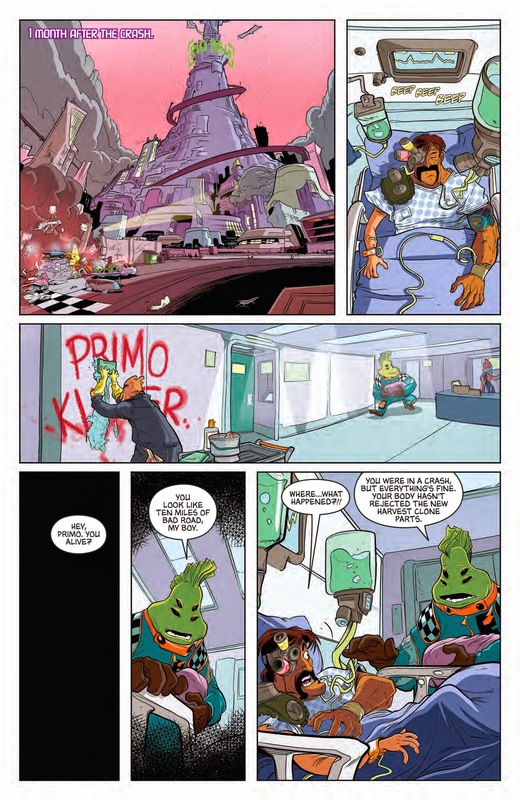 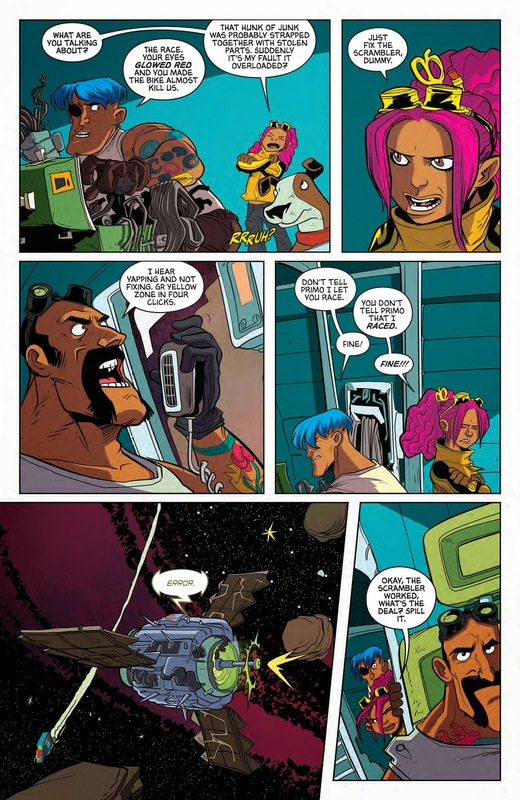 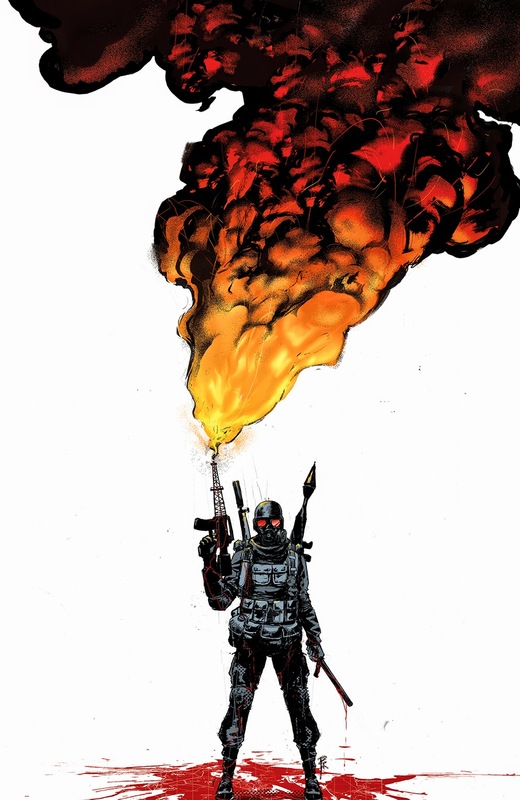 When Primo Rocket finds out the alien and robot federations are gunning after him in search of a long-lost mythical weapon, he has no choice but to rope his family into an adventure across the galaxy to find the alien responsible. 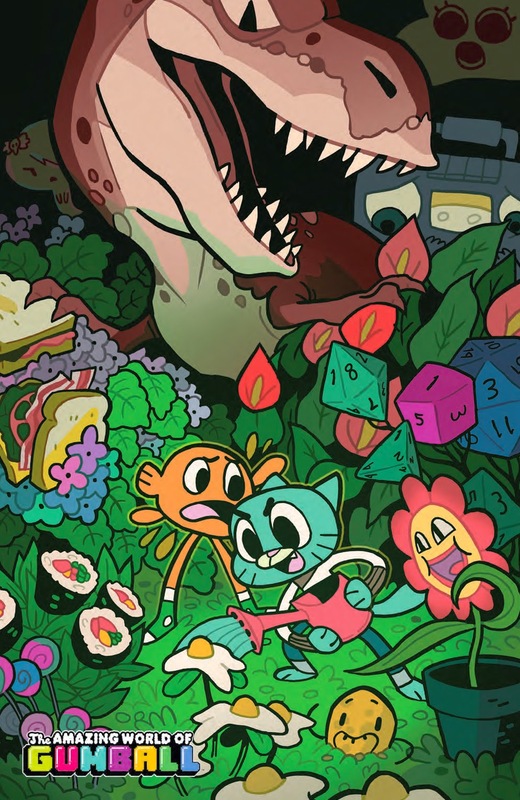 Too bad that alien is locked away in the most dangerous and impenetrable Kaijer Prison Planet known to man! 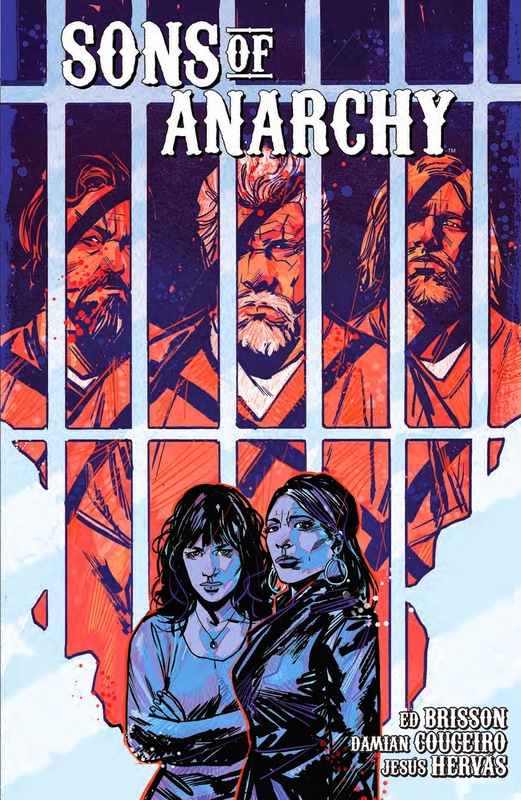 The Sons of Anarchy are behind bars and it’s up to Gemma and Tara to keep the homefront safe from rival clubs. 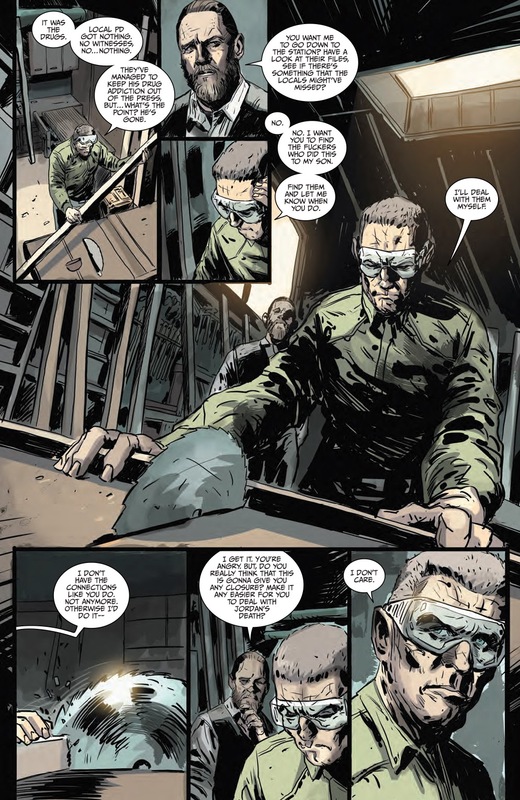 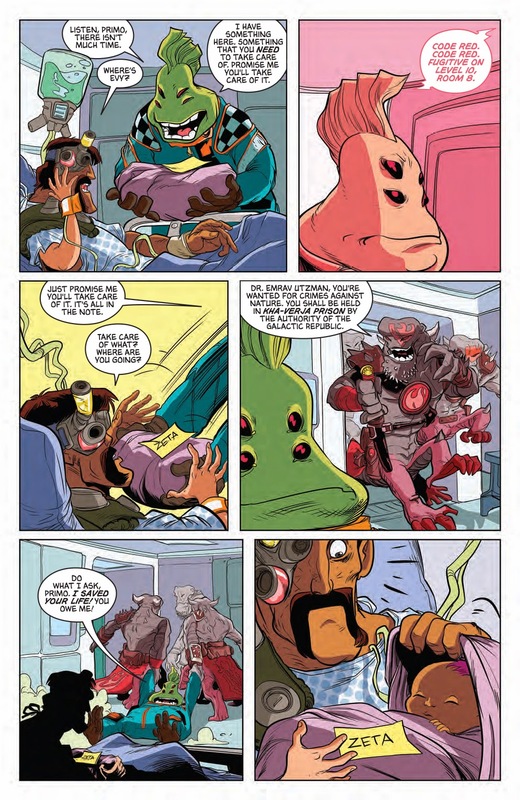 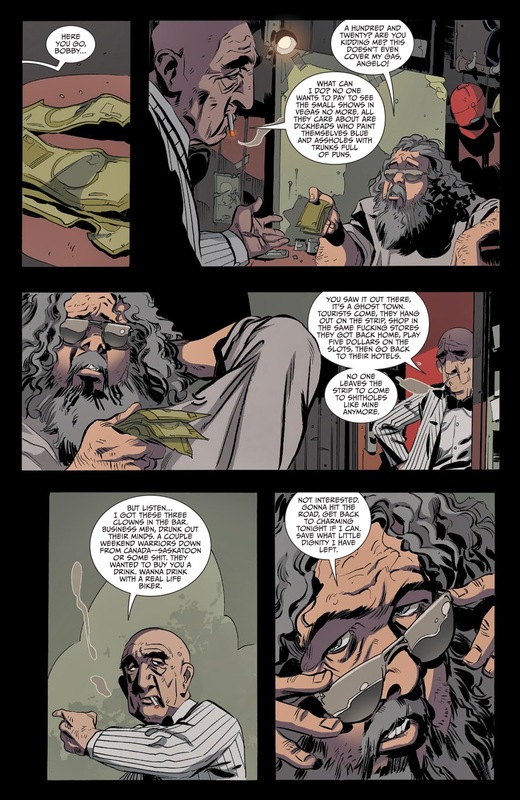 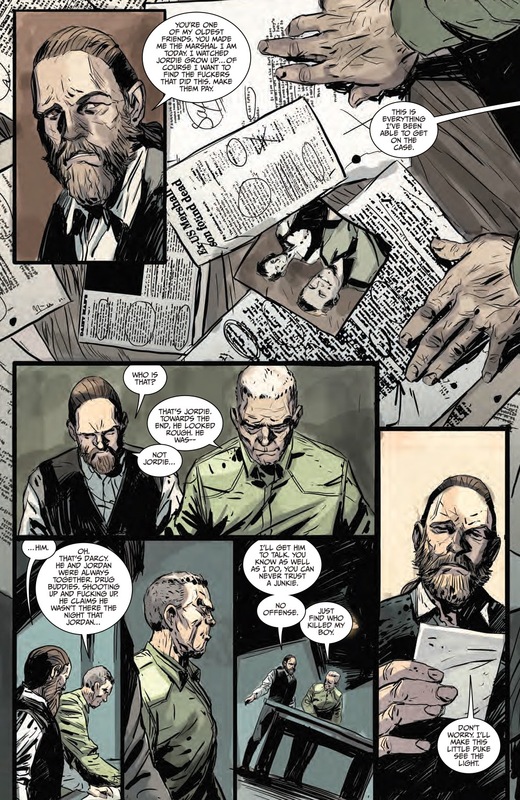 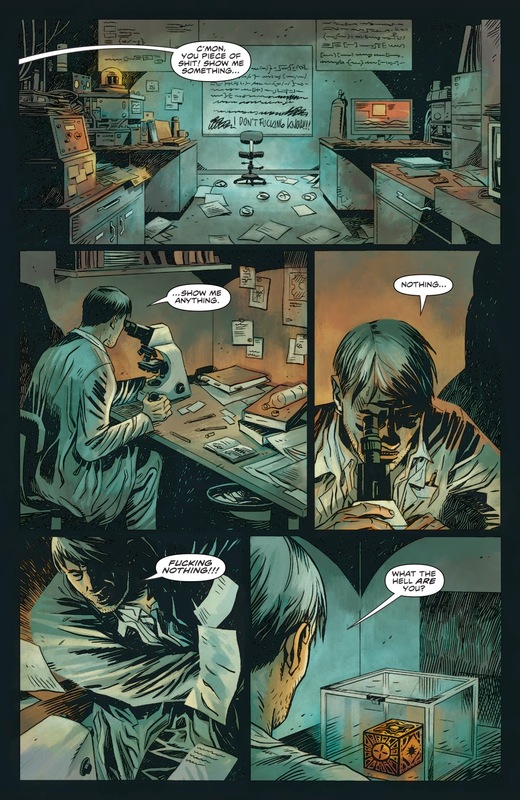 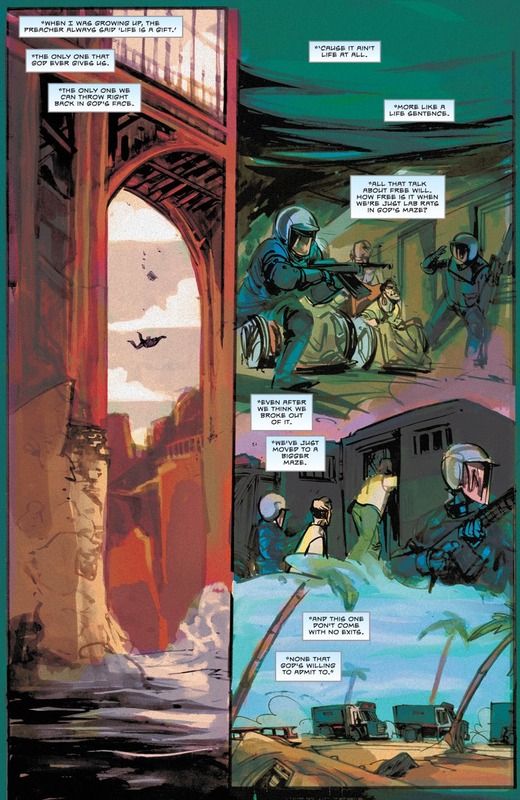 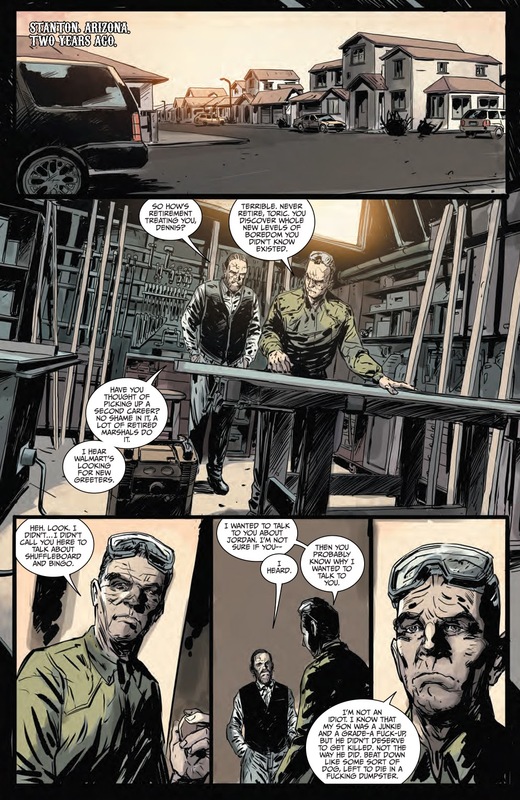 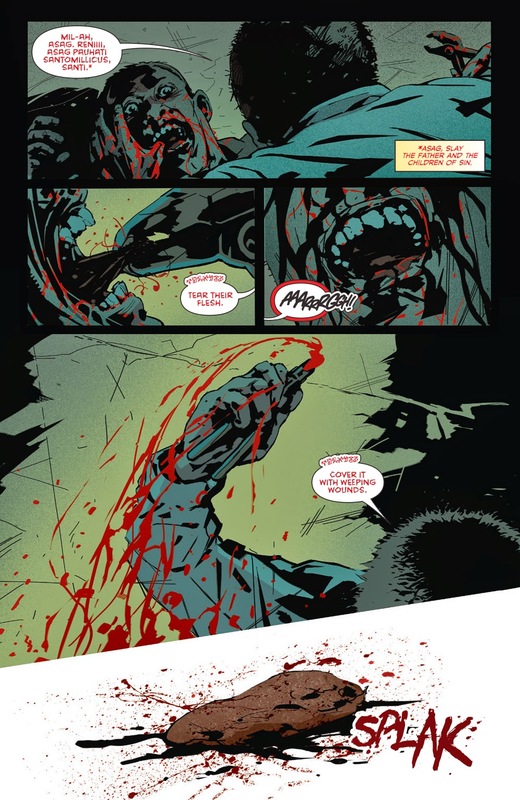 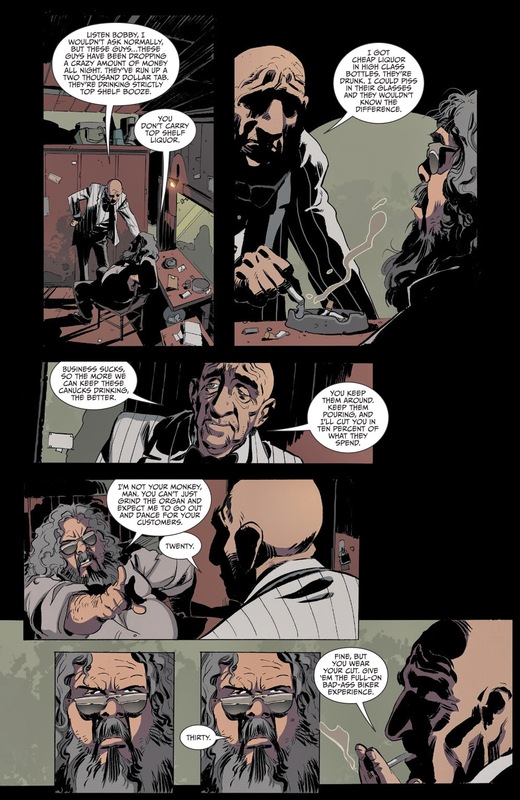 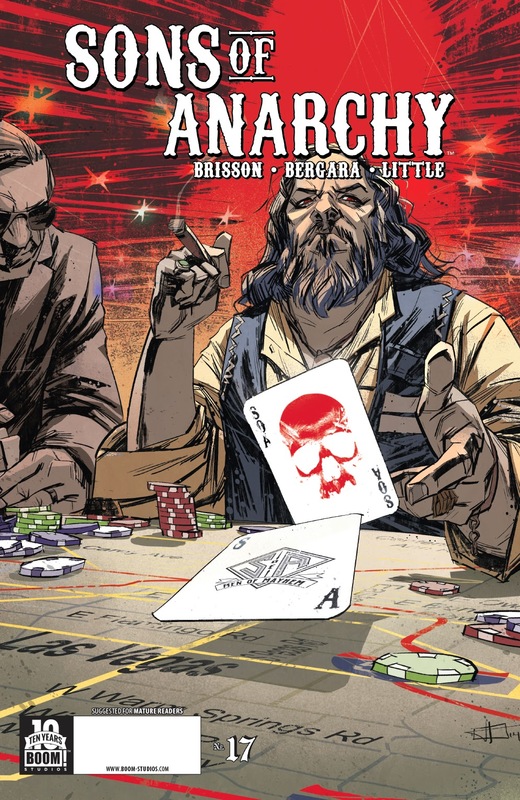 And while Tara uses everything she’s learned as a doctor and an “old lady” to keep the MC intact during Jax’s absence, Jax puts his life on the line to keep the Sons safe on the other side… Written by Ed Brisson (Sheltered) and illustrated by Damian Couceiro (Planet of the Apes), this jaw-dropping second volume bridges the gap between Seasons 3 and 4 of Kurt Sutter’s revered television series. 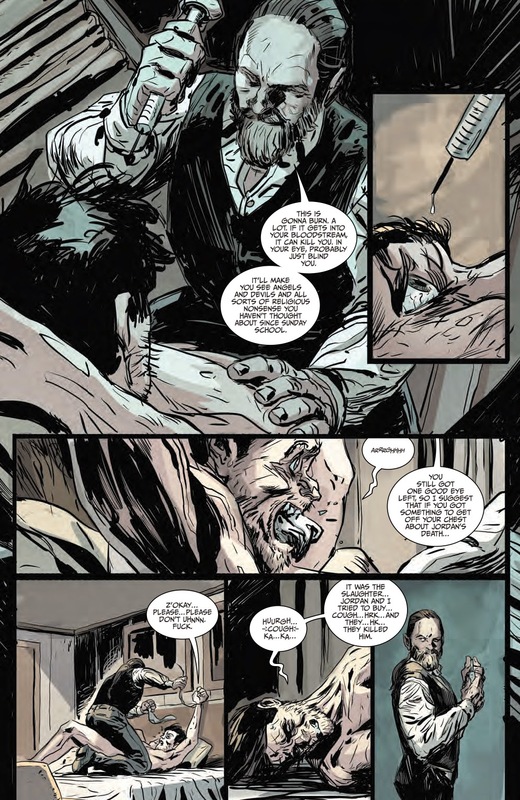 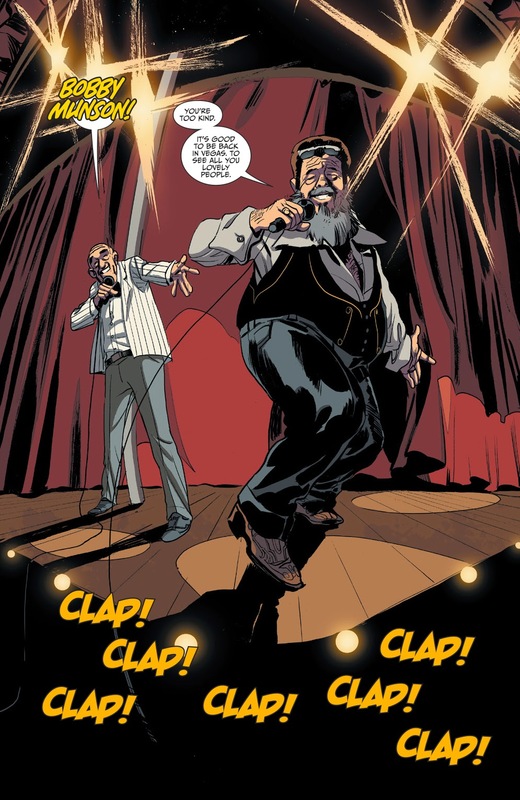 Also featuring a story drawn by the critically acclaimed Jesús Hervás (Hellraiser) revealing the violent origins of how Lee Toric came to Charming. 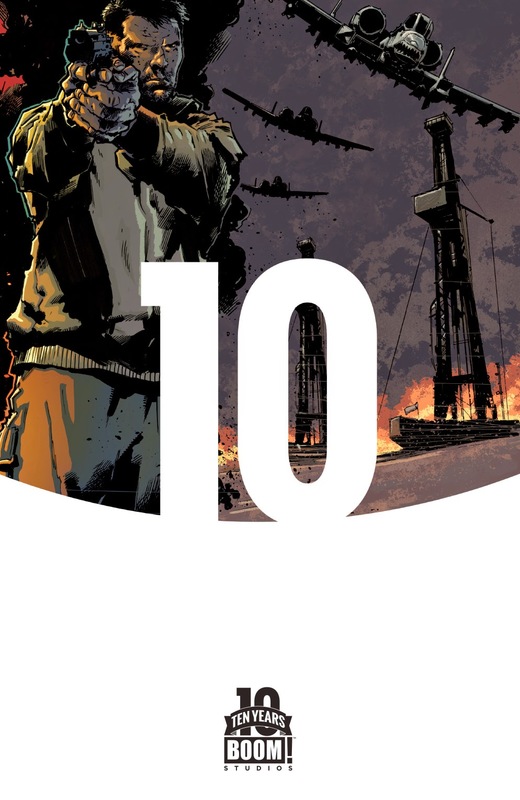 Collects issues #7-10.